While keeping the stylish side of you alive, make sure your darling is groomed well too, by getting this comb and brush set. 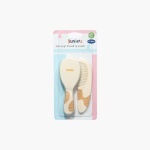 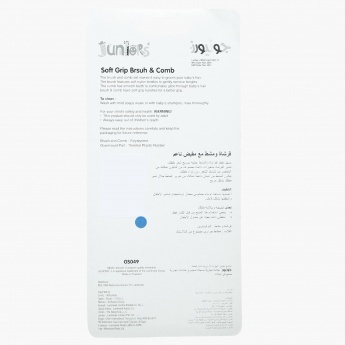 With soft bristles for the brush and rounded edges of the combâ€™s teeth, these items will prove to be fit for your baby. The soft grip and aptly-shaped handles will offer ease of use.